Songs of “ida y vuelta” in physical and passional geographies. Oceans and seas that have been and are still navigated, dreams, hopes and illusions. Voices, instruments, memories, that are a fragile and sincere ‘bagage’. Travel gear in search of a future life, shelter and a second chance. From the Rio de la Plata to the shores of the Cantabrian Sea, a cabotage sailing to the Peninsular Levante, crossing the Mediterranean to reach Kurdistan; a humble tribute to all those sailors of the past, of today and the future. 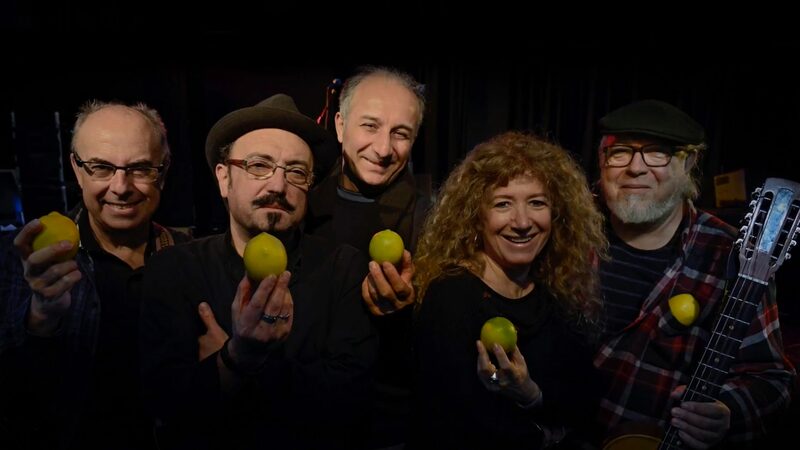 Beatríz Aguiar, Josean Martín, Fran Lasuen, Manuel Luna, Gani Mirzo and the indispensable friends who lend a hand, they are the “ICBand” (International Citrus Band). A small vessel, built under the veil of the night of lemon and orange groves of the Portuguese Alentejo.